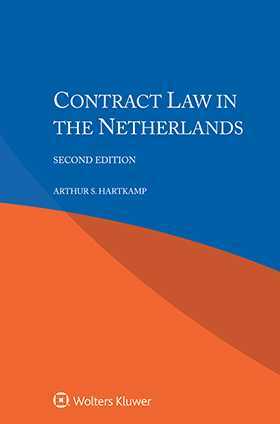 Derived from the renowned multi-volume International Encyclopaedia of Laws, this practical analysis of the law of contracts in the Netherlands covers every aspect of the subject – definition and classification of contracts, contractual liability, relation to the law of property, good faith, burden of proof, defects, penalty clauses, arbitration clauses, remedies in case of non-performance, damages, power of attorney, and much more. Lawyers who handle transnational contracts will appreciate the explanation of fundamental differences in terminology, application, and procedure from one legal system to another, as well as the international aspects of contract law. Throughout the book, the treatment emphasizes drafting considerations. Its succinct yet scholarly nature, as well as the practical quality of the information it provides, make this book a valuable time-saving tool for business and legal professionals alike. Lawyers representing parties with interests in the Netherlands will welcome this very useful guide, and academics and researchers will appreciate its value in the study of comparative contract law. Preface to the First Edition (1995). Chapter 1. The General Background of the Country. Chapter 2. Distinction between Public Law and Private Law. Chapter 3. Distinction between Civil Law and Commercial Law. Introduction to the Law of Contracts. Chapter 1. Definition of a Contract. Chapter 2. Historical Background of the Law of Contracts. Chapter 3. Classification of Contracts. Chapter 4. Contract and Tort. Chapter 5. Contracts and Quasi-contracts. Chapter 6. Contract and Trust. Chapter 7. Contract and the Law of Property. Chapter 8. Good Faith and Fair Dealing. Chapter 9. Style of Drafting. Chapter 10. Sources of the Law of Contract. Part II. Conditions of Substantive Validity. Part III. The Contents of a Contract. Chapter 1. Express and Implied Terms. Part IV. Contracts and Third Persons. Chapter 1. Privity of Contract; Contract for the Benefit of a Third Party. Chapter 2. Transmission of Contractual Rights. Chapter 3. The Special Case of a ‘Sub-contract’: e.g., the Contract with a Subcontractor. Part V. The End of the Contract. Chapter 1. Performance and Breach. Chapter 2. Impossibility, Hardship and Frustration. Chapter 3. Discharge by Agreement. Chapter 2. Damages and Exemption Clauses. Chapter 3. Gaming and Wagering. Chapter 4. Sale of Goods. Chapter 7. The Settlement Contract. Chapter 10. Contracts with the Government and Other Public Administrations. Annex: Table of Contents of the Books 3 and 6 of the Dutch Civil Code.